Dr. Sanjiv Kaul will step down as director of the Knight Cardiovascular Institute by Dec. 31 but will remain at the university, OHSU said in a statement. Starting Jan. 1, he will focus on research. Dr. Sharon Anderson, dean of OHSU's school of medicine, will serve as interim director of the institute starting Jan. 1. The statement said she'll work with the top cardiology directors -- Dr. Joaquin Cigarroa, Dr. Nabil Alkayed, Dr. Howard Song and Dr. Gregory Landry -- to rebuild the heart transplant program. A year ago, Cigarroa became the overall supervisor of the heart transplant unit. OHSU has not responded to financial and other requests by The Lund Report about his role or the cardiology program. But several sources have told The Lund Report that the heart failure cardiologists were not happy with the change in leadership. In July, Dr. Jill Gelow took a job with Providence Health & Services because she wanted to work fewer hours to spend more time with her newly adopted son. Her departure increased the workload of the remaining three physicians. That led to the resignation of Dr. Jonathan Davis, who found a position in San Francisco where he went to medical school and did his residency. Dr. Divya Soman left. It's not clear where she is going. Dr. James Mudd, the chief heart failure specialist, stayed until the end of last month to ease the transition. He's found a position in Spokane. The patients in the heart transplant program have been shifted elsewhere. About 400 of them are moving to Providence Health & Services, which does not have a heart transplant unit but is specialized in implanting heart assist devices. Dr. Jacob Abraham, who leads Providence's heart failure unit, will be hiring another cardiologist to cope with the demand, he said. Patients on the waitlist for a donor heart have been shifted out-of-state, many of them to the University of Washington in Seattle. 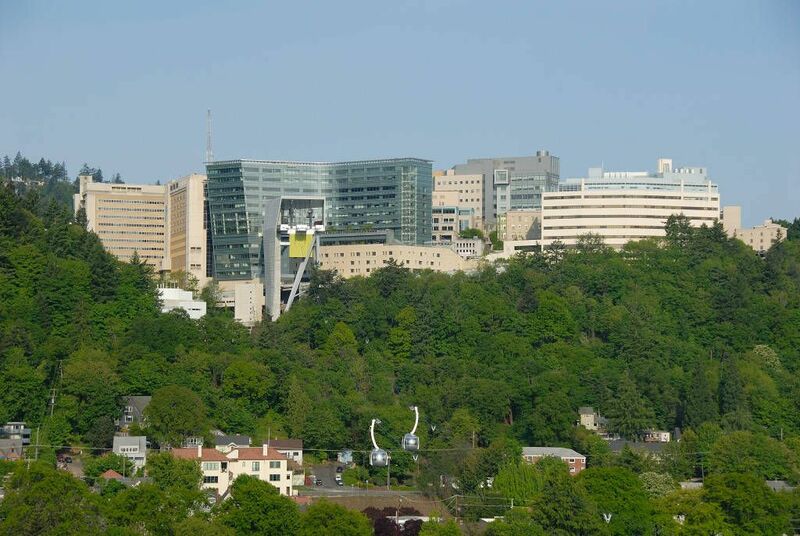 The collapse of the heart transplant unit was a public embarrassment for OHSU, prompting the university's new president and CEO, Dr. Danny Jacobs, to call for an inquiry. The university said it will hire consultants starting this month to do that work. The university is calling it a peer review, implying that highly qualified medical experts will conduct the inquiry. But it's not clear who will conduct the investigation. A spokeswoman on Wednesday said the details the review and timeline have not yet been announced. Jacobs said he's committed to reopening the heart transplant program, the only one in the state. Providence Health & Services is involved in discussing future possibilities. Abraham told The Lund Report that "Everything's on the table." As for Kaul, he helped shepherd the Knight Cardiovascular Institute into being in 2012, thanks to a $125 million grant from Phil and Penny Knight. Under his leadership, the institute grew. It now has 555 employees, including 125 physicians, nurse practitioners and physician assistants. OHSU said in its statement that "Kaul leveraged philanthropy to build a world-class institute achieving excellence in cardiovascular clinical care and cutting-edge research." He also made some controversial decisions. Critics complain about the purchase of a $3.4 million a cyclotron, which accelerates atomic and subatomic particles by using an alternating current. Funded by the Knight cardiovascular gift, it has been used by 21 investigators at OHSU in cardiovascular health and other disciplines. The university said that 10 people are writing grants for projects that will use the cyclotron. University officials had hoped for a follow-up grant from Knight but Nike's cofounder has not repeated his generosity with the cardiovascular department that bears his name. The resignation of Kaul as the chief cardiologist is the latest high-level change at OHSU. Dr. Jeffrey Kirsch was forced to step down as head of the anesthesiology department. OHSU declined to explain why. Dr. Alan Hunter has stepped down as chief of OHSU's Division of Hospital Medicine after 13 years, retaining two lower-profile managerial roles. The heart transplant team's cardiologists left and a heart surgeon, Dr. Jai Raman, is returning to his native Australia in January. All this has happened with Jacobs newly on the job. It's not clear when OHSU will be able to restart a heart transplant unit, which was over 30 years old and the only program in the state. There are only about 1,000 heart failure specialists in the United States.